Phuket is one of those daydream destinations to transport yourself to on your daily commute; perfect white, sandy beaches which stretch on until you reach sharp limestone cliffs, and you’ve lush tropical jungle on one side and the famously bright turquoise waters of the Andaman Sea on the other side. Relax, dive, snorkel, explore the jungle, island hop, drink well, eat well and be well looked after. That’s Phuket Island for you. 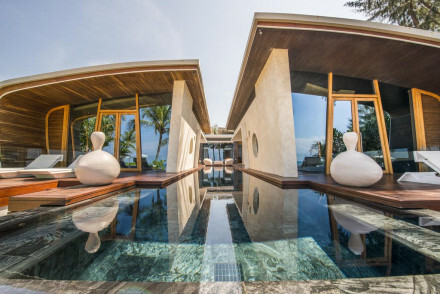 Our Guru’s recommendations for the best places to stay in Phuket are a fairly luxurious collection, but there are still a couple of really good value options - so the daydream is open to everyone. Some of their preferences for the best hotels in Phuket run toward the high-end tropical hideaway, rather than the lively glitz of Patong or Karon, or the busy centre, Phuket Town, but they still have some great recommendations in lively, cosmopolitan Phuket Town. Just back from the coast, Phuket Town is significantly cheaper than staying in one of the beach resorts. This city is a real historic melting pot, with people and influence from China, Portugal, India and the Arabian Peninsula helping to build this place up - when it was just an island of tin mines and rubber plantations - before the tourist dollar arrived. 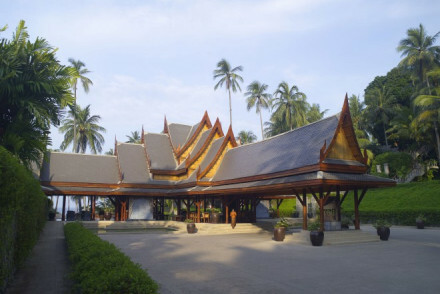 As well as uncovering Phuket’s cultural side, and having your pick of the textiles shops and markets, if you’re exploring Phuket Town you might also be interested in visiting some of the city’s many shrines, strolling past some of the beautifully grand old Sino-Portuguese buildings and popping round a couple of museums. Phuket is the kind of place where you can pack in a lot of adventure, or do very little. Go sailing or jet-skiing, try parasailing, or diving, snorkelling or free diving, kite-surfing, canoeing or deep sea fishing. The island’s spectacular coastline is well worth seeing, and you can do it under your own steam or someone else’s. Phuket isn’t the only island in these parts and it’s definitely worth visiting some of the others. If you fancy a bit of sightseeing beyond the beautiful beaches and the hilly interior with its dramatic roads, then there’s a fair bit to choose from, including an aquarium, a crocodile farm, a butterfly garden and Wat Prathong with its half buried golden Buddha. The best places to stay in Phuket are always busy destinations, so don't leave your booking till the last minute....you might well be disappointed! Kata Rocks has fantastic sea views from its luxurious rooms and villas, and chic, contemporary decor. Small and secluded there’s a Mediterranean restaurant on site and access to a chaser yacht. 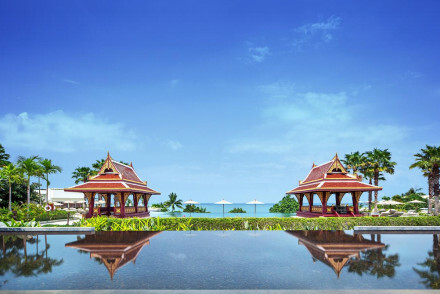 SALA Phuket is located right on Mai Khao beach. 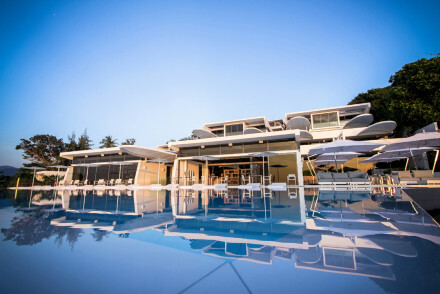 As well as a selection of luxurious rooms and villas, you can expect three pools, superb food and an award winning spa. Amanpuri, an Aman spa resort, offers a haven of tranquility with private villas, private pools and a choice of five restaurants. This is a relaxingly low-tech resort with plenty of activities and spa treatments on offer if you need help filling your time. Paresa Resort is a secluded, jungle property offering pared back luxury. Villas boast stunning views through floor to ceiling glass walls, and are decorated with natural wood for example. Some also have a private pool, and all have spa baths. The menu is Mediterranean. 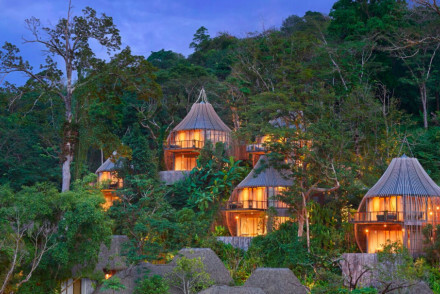 Keemala’s accommodation is in ‘birds nest villas’ arranged within the treetops. Each ‘nest’ has a canopied bed, a huge egg-like bathtub and a private pool. There are just 38 ‘nests’ and two restaurants serving food which is largely grown on site. Sri Panwa is a chic collection of glass-fronted villas filled with every modern comfort and offering spectacular sea views. There are just 59 rooms/villas and you’ll have just the right facilities, including a private assistant for your kids if that would help you relax and enjoy yourself. 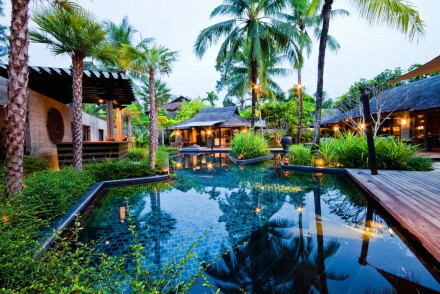 Twinpalms is a chic resort with 97 rooms, a gorgeous pool, a spoiling spa and beach butlers! Lively Surin beach with its white sand is just steps from the property and the contemporary style is unfussy. Rooms start from around £105 per night. The Slate is a fabulous five star property that won't break the bank. It offers slick rooms, suites and villas, excellent food and pampering spa and prices start from as litle as £115 per night! The Indigo Pearl is an easy-going resort with 177 rooms, a choice of restaurants, a simply gorgeous infinity pool and clever, tropical landscaping. You’re close to a public beach and there’s a seemingly endless list of activities going on to suit all ages - including its own dive school. If you want to up-scale you can have private pretty much everything too! 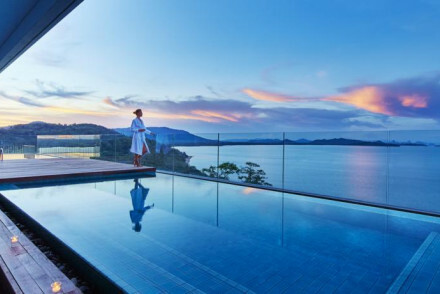 £150 per night isn’t inexpensive, but the Como Point Yamu is a great value option if you want to treat yourself to a proper Phuket experience. 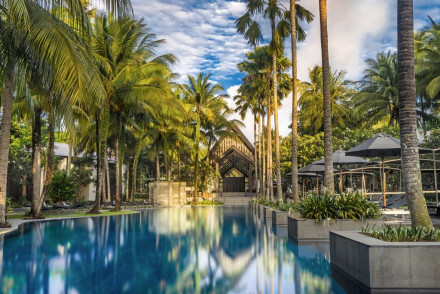 With an enviable position overlooking the Andaman Sea, two excellent restaurants, an award-winning spa, rooftop infinity pool and daily menu of sporting and cultural activities, this is classic Phuket. Phuket Airport is 30kms to the north of Phuket Town, about 30 to 45minutes by taxi, or an hour and 20 minutes by bus - but traffic is often bad. It’s only loosely connected to the UK and Europe, most visitors will need to travel via Bangkok. Phuket is known for having relatively expensive taxi prices and very limited public transport. The peak time for visiting Phuket is between November and February when it’s cool and dry, after than it gets quite hot until about May then the monsoon season starts. 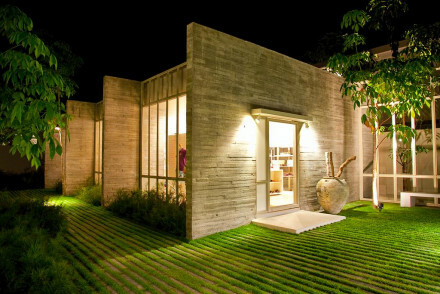 A chic property to satisfy both tranquility seekers and night revellers. 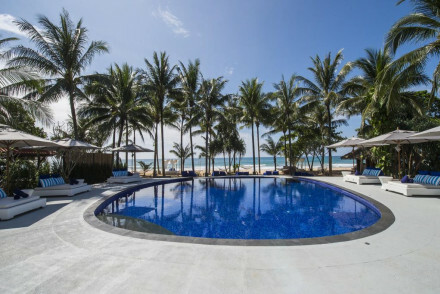 A gorgeous pool, spoiling spa and beach butlers will tend to all your needs and lively Surin beach is just steps from the property. The style is cool and contemporary and staff ever efficient. Beach perfection. Beach Life - An uber chic property set in lush surrounds and just minutes from a white sand beach. Cooking classes - Learn to cook a three course thai meal in the hotel kitchen. Fishing - The hotel organises deep sea fishing excursions. 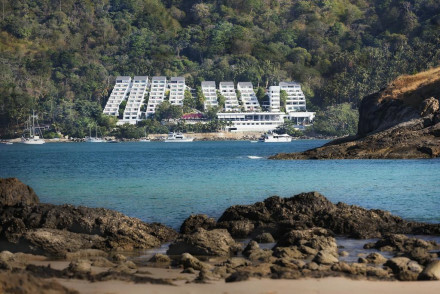 The Nai Harn is a stalwart on the Phuket luxury hotel scene, but a recent renovation has kept this Mediterranean-inspired seaside resort as relevant as ever. Stylish rooms include open views. Perfect for a getaway with a loved one or total relaxation. Families - Stay together in family rooms and make use of the babysitting services offered to have a relaxing evening without the kids! 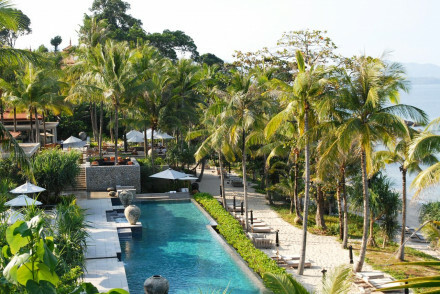 SALA Phuket enjoys a splendidly tranquil location along Mai Khao Beach. Offering well-lit, private one or two bedroom villas decorated with plenty of light hues and chic furnishings. Relax by one of the 3 pools or rejuvenate with a massage! First-rate cuisine served. A divinely romantic spot! Sights nearby - Spend your day at Splash Jungle Water Park for a fun-filled day out! Set on stunning Cape Panwa with fantastic views from all angles, amid lush gardens and overlooking a private beach. Wellness is the real focus here; the design gives a real sense of calm and there is a fabulous and extensive spa. A choice of three restaurants are sure to please. An indulgent stay. This elegant Beach Club is a rare peaceful moment on the Thai beach scene. Rooms offer floor to ceiling windows to allow room for the show stopping views of palm trees and white sandy beach. Chill out by the pool, head to the beach for a massage or read a book on your private terrace. Utter Bliss! Diving - Plan a scuba trip to explore the fish filled waters- highlights include shipwrecks and leopard sharks! Drawing upon the surrounding beauty to create a secluded resort that places super-luxe simplicity at its core. Villas make the most of stunning vistas with plenty of floor to ceiling glass walls and natural wood. Some have private pools, all have spa baths. A fresh Mediterranean menu is served. As stylish as it is luxurious, Sri Panwa has raised the bar on boutique chic holidaying. Glass fronted villas not only allow for enjoying the spectacular sea views but are filled with every modern comfort you could conjure up. Ideal for families and couples alike this is a truly spoiling retreat. Total relaxation - Merging contemporary comforts with natural beauty you'll be left wishing for nothing in this oh-so-cool hotel. Families - The hotel's thought of everything to keep kids happy and entertained (including a private assistant). Sailing - Cruise through the Phuket archipelago in style aboard one of the two hotel boats. Diving - Explore the tropical seas on a scuba diving expedition. A unique and utterly luxurious resort. 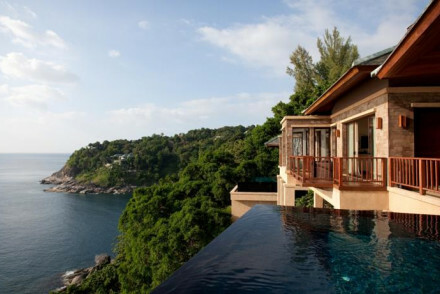 Sleep up in the trees with your own birds nest villa - complete with private pool. Plus eco-luxe interiors complete with canopied beds, luscious views and huge egg bathtubs. Two restaurants serving largely home grown dishes and spice route flavours. Eco break - A contributor to non-profit organisation Kamala Green Club plus employing green principles and serving locally sourced food. Romantic Break - Villas are suited to twosomes and feature private pools and stunning views. No children allowed. Spa breaks - Mala spa features eight treatment rooms, traditional treatments and healing therapies. Cooking classes - Learn some thai dishes at the culinary academy. Pick your vegetables from the "enchanted garden". 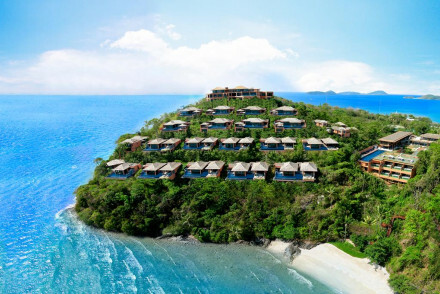 A luxury resort on a secluded cove nestled in the tropical hills of Phuket boasting a stunning private beach. Secluded villas are luxurious and modern with sharp lines, pale wood and fabulous sea views (the best have their own pools). Offering a glorious spa and numerous water sports. Superb! A family-friendly luxury resort with great eco credentials tucked away in a bay, surrounded by lush gardens with a private beachfront. Accommodation is spacious and tasteful with enormous panels of glass giving fabulous views and minimalist style. Expect all the luxury trimmings. Fabulous. Divine Aman offering and absolute haven of tranquility. Enjoy signature Thai and Chinese inspired treatments in the secluded spa, and dinner at your choice of not one but five restaurants. Something for everyone. Rooms are relaxingly low-tech - there are enough outdoor activities to keep you busy! Families - Plenty of watersports on offer, tennis courts and baby sitting services. Spa breaks - Aman spas are world renowned and this one is no exception. Romantic Break - Tranquil villas, private pools and couples spa treatments. Back to Nature - Boasting its own stretch of white sandy beach. 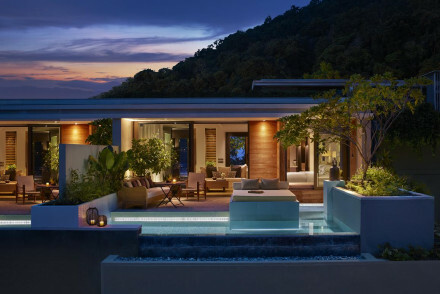 Kata Rocks enjoys a prime location on the coast of Phuket, boasting fantastic sea views. The hotel offers 1-4 bedroom luxury villas designed in a chic, contemporary fashion. Relax with a cocktail and take in the sunset! Mediterranean cuisine served. A truly stunning stay! Sailing - Speak to Bristol Charter Phuket to charter a luxury yacht-the perfect way to explore the seas and all around Phuket! An uber chic collection of design penthouses and villas on a gorgeous stretch of white sandy beach. Be utterly spoiled with your own butler, driver, chef, spa therapist and housekeeper. Style is sleek and contemporary throughout; think clean lines, soft hues and plenty of glass. Achingly cool. Beach Life - Relax in the lap of luxury in one of the gorgeous design beach front villas. Diving - With easy access to the Similan and Surin Islands find some of the world's best diving within reach. Sights nearby - Find two 18-hole championship courses in the vicinity.